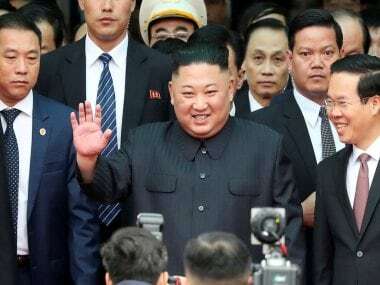 Xiamen: BRICS countries, including India, on Monday strongly condemned North Korea's nuclear test and asserted that the prolonged nuclear issue in the Korean peninsula should only be settled through peaceful means. 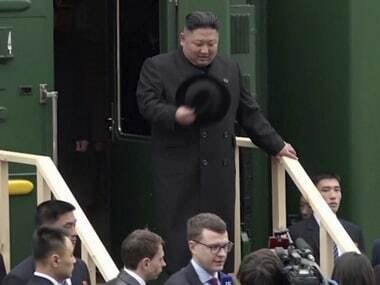 North Korea on Sunday carried out its most powerful nuclear test to date, claiming to have developed an advanced hydrogen bomb that could sit atop an intercontinental ballistic missile. 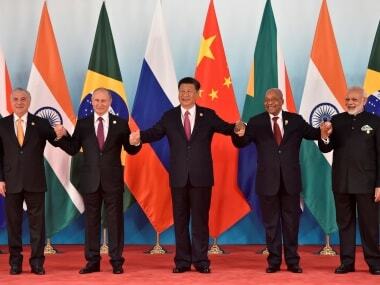 BRICS, in its Xiamen Declaration issued during the Summit of the grouping's leaders, strongly deplored the nuclear test conducted by North Korea. "We express deep concern over the ongoing tension and prolonged nuclear issue on the Korean Peninsula, and emphasize that it should only be settled through peaceful means and direct dialogue of all the parties concerned," it said in the statement. The strong statement from BRICS countries comes amid global condemnation of North Korea's move. Significantly, it came on a day China said it had lodged an official protest with North Korea following Pyongyang's largest-ever nuclear weapons test. China has "launched stern representations with the person in charge of the DPRK (the Democratic People's Republic of Korea) embassy in China", foreign ministry spokesman Geng Shuang told reporters at a briefing. North Korea in July had carried out two intercontinental ballistic missile launches that apparently brought much of the US mainland into range.